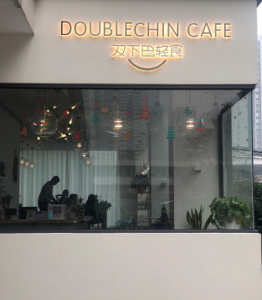 Doublechin Cafe is a modern eatery that does Australian-Asian fusion food and drinks, that wont break the bank. 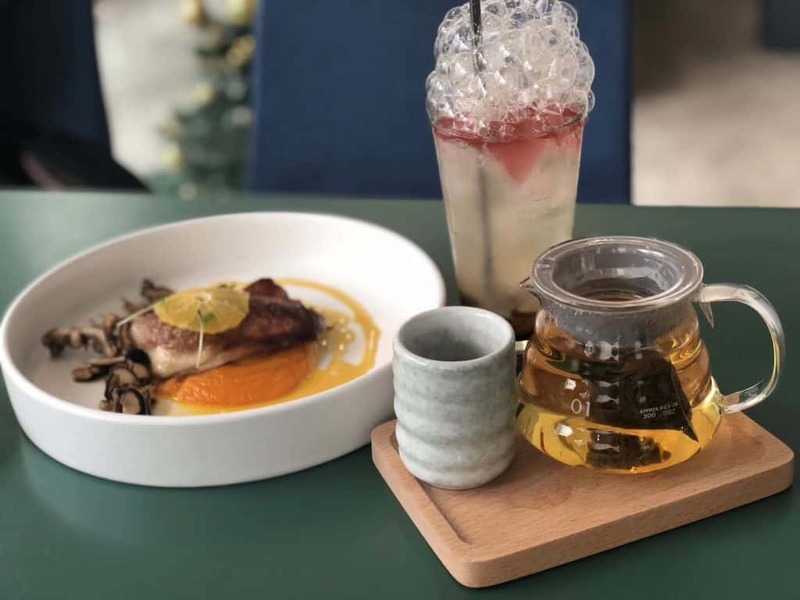 Opened by Singaporean Chef Mike, and Ann from Taiwan, it’s tucked away just behind Niuwangmiao Station and is a real hidden gem. From brunch to dinner, to desserts, these photo-worthy dishes, make it worth a visit. 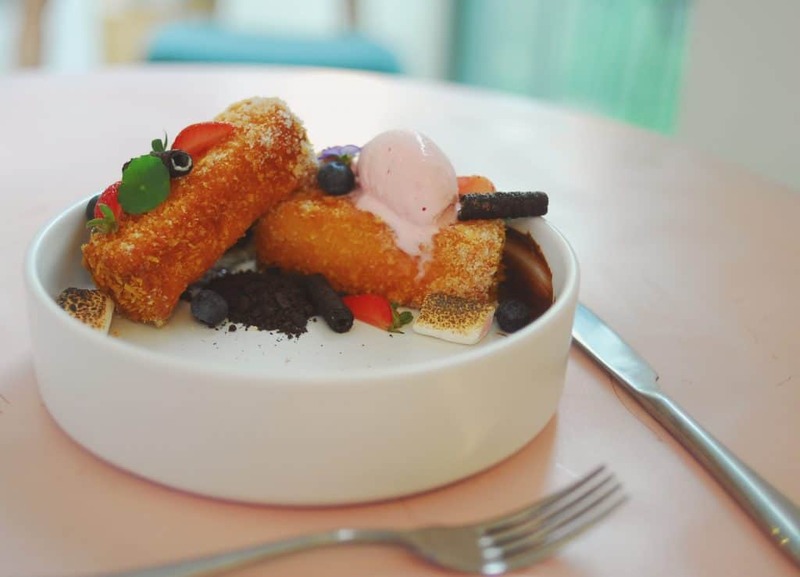 …The Australia-Asian fusion menu offers up brunch, dinner, teas and desserts – all with a strong Singaporean influence. The French fries are smothered in homemade salted egg sauce (¥29) which gives a rich umami hit, and sambal fried rice (¥49) and toast with kaya (¥29) both make an appearance. Attention to detail is clear here. Mike makes infused bubbles, syrups and airy foams for creative drinks – the blood orange was our favourite. The brunch also doesn’t disappoint, with Berry hotcakes (¥52) piled high with decadent chocolate soil, seeds, berries and ice cream.